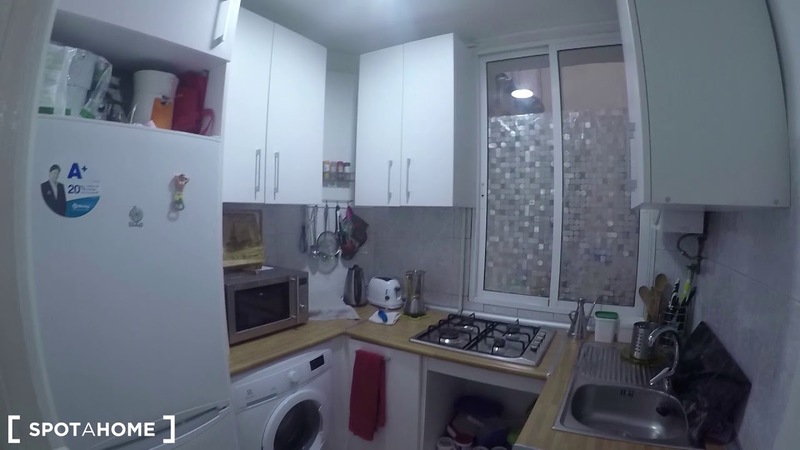 Cozy rooms are available to rent in a charming flatshare near Parque del Oeste in Argüelles. The apartment has a spacious kitchen with all the basics, including a microwave, a 4-burner stove, and a washing machine for easy laundry days. All the rooms for rent are well-furnished with a comfortable bed and plenty of storage space for all your things. The apartment has 1 full bathroom, where you'll find a big bathtub and lovely, blue tiling. You'll be living in Argüelles, 1 of Madrid's most central and well-connected neighborhoods. The apartment is a short walk from the Parque del Oeste, where you can spend sunny days relaxing in the grass or exploring the amazing Egyptian temple Debod. The apartment is also a short walk from the iconic Gran Vía, Plaza España, and the incredible Royal Palace. Wow! You'll be living in central Argüelles! The apartment is cozy and modern. The apartment is a 5-minute walk from Metro Ventura Rodriguez. You'll be sharing the apartment with the live-in landlord, a 30-year-old Colombian man who likes sharing his home with friendly and calm people.